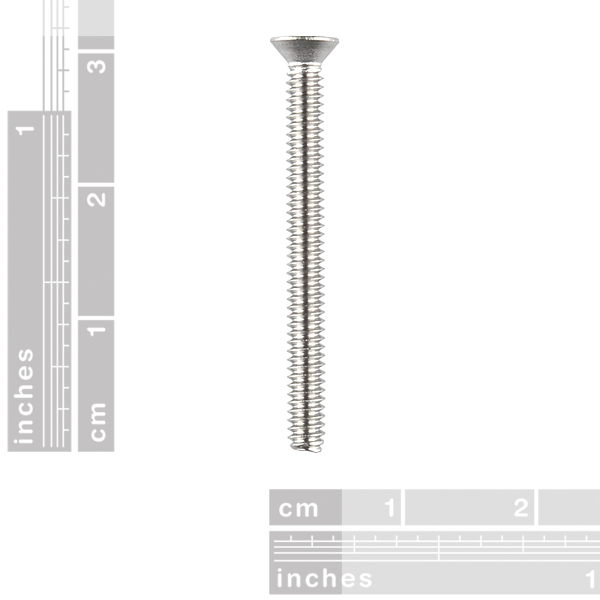 These are standard screws with 4-40 thread, but they're extraordinarily long - 1.25"! Item name says flat head. Item picture is a phillips head? The screws are properly called flat head screws, I.E. countersunk screws that when installed properly do not protrude above the surface they are intended to fasten. ^ Sparkfun has always named screws by the drive not the shape. 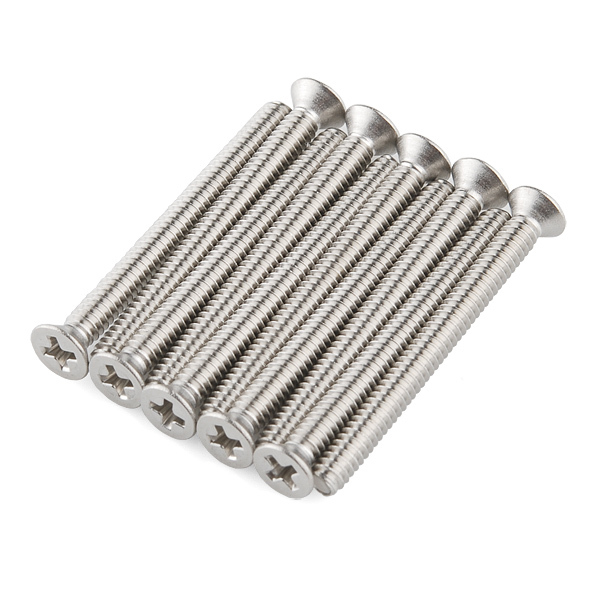 Notice these are called Phillip head, not round head screws. By sticking to that convention then, these would also be called Phillips head screws.